Nearly every home in America has a refrigerator—over 20% own more than one—and about a third have a stand alone freezer. All told, about 126 million refrigerators and 38 million freezers operate 24 hours a day, consuming a combined total of nearly 200 billion kWh of electricity each year or 8% of residential energy use. Tremendous efficiency gains have been made over the last thirty years, but substantial potential remains for further energy savings with residential refrigerators and freezers. With sales increasing and consumer demand trending towards larger units with greater amenities, refrigerators and freezers continue to be an important target for energy efficiency. Size, configuration (e.g., top freezer, bottom freezer, or side-by-side) and features have a big impact on overall unit energy consumption. ENERGY STAR ratings are available for refrigerators; however, their application may be misleading to consumers. 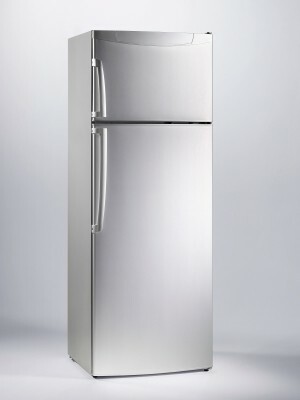 Different fridge/freezer configurations are treated differently by the ENERGY STAR standards, so that it is possible to have an ENERGY STAR side-by-side model that uses more energy than a similar size non-ENERGY STAR top-freezer model. Research, policies, and programs related to residential refrigeration can be found in the links below and to the right. For information on commercial packaged refrigeration, click here. For specific efficiency tips and guidance on residential refrigerators, click here.